← Radio interviews, book signings, and more! 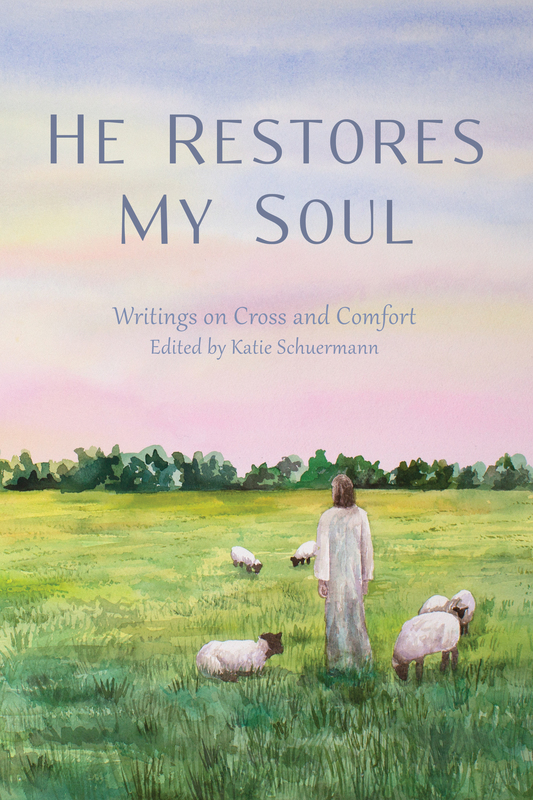 I ordered 2 copies of He Restores My Soul, which arrived while I was away at a funeral. Last night, after returning home, I thought, “I’ll just read one story before bed.” I tend to be skeptical when it comes to reading religious books written for women by women. In fact, I usually avoid them and their “Christianity Light” emotive fluff. I did not read one story. I read the entire book. I laughed, I cried, I sighed, I prayed…I was worn out by the time I reached the last page! So, yeah, it reached me emotionally, but it was not fluff. Even though I have not had the same life experiences as all of these women, their honest and heart- wrenching essays elicited deep empathy within me. Why? Because their stories ARE my story. While the specifics of my life are different, we all ultimately have the same story: Jesus Christ, the Incarnate, Crucified, Resurrected, and Glorified Man-God is our Savior and it is He who unites us. Not the fact that we are women or that we have been hurt in this life, but that we are sinners and there is only one solution for this problem of sin, which is the root of all pain and suffering. Each of these women expressed this clearly and focused my eyes on Jesus. Thank you so much for publishing this book. I will be ordering more!